MedicAlert is a global nonprofit whose network saves lives with a simple, yet groundbreaking idea – providing critical patient information to first responders during medical emergencies. Despite more than fifty years of recognized excellence in emergency response, MedicAlert was losing market share to more aggressive and more digitally modern competitors. The organization was in dire need of a brand overhaul; their web presence was a decade old and their market positioning felt stale. Marker Seven developed an updated brand positioning, a fresh visual expression and a sophisticated digital shopping experience that helped MedicAlert appeal to a younger, wider demographic. The updated site drove marketing efforts organization-wide, regaining valuable market share. 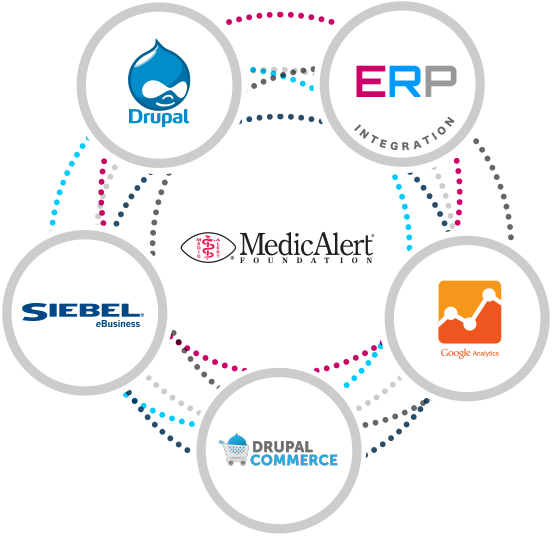 MedicAlert had worked with multiple vendors over the years to improve and maintain their website, but knew they needed more than just a facelift to address the core reasons that the organization was losing market share. 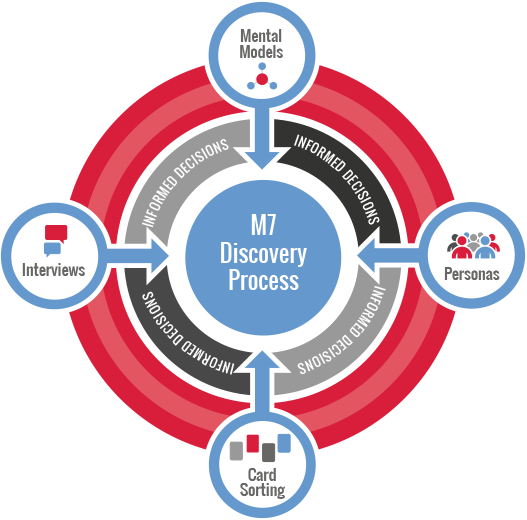 Marker Seven took the lead in helping to uncover those reasons, and map them to improving the digital experience. Our in-depth discovery process revealed several key insights that helped us discern the business strategy to define the new site’s success. Getting consensus on a strategy up front made execution quicker and easier, knowing that the changes we made would yield a positive outcome. The company produced medical bracelets, and marketed those bracelets to seniors and people with chronic diseases. However, our research revealed a much broader audience that included kids and younger adults. Building on the user personas, the new design improves the online shopping experience, features “active life” products, and gives the brand fresh appeal by portraying vibrant individuals of all ages. We also created a responsive site for mobile users, making it easy to order online. This helped make the product appealing to the younger demographic. The existing e-commerce platform was so limited that it couldn’t deliver the flexible pricing that MedicAlert’s complex membership structure required. It was literally choking sales. We rebuilt the site on a Drupal CMS and customized an e-commerce platform in Drupal to enable varying membership levels. The technical requirements of launching the new site included dozens of integration points between the website and e-commerce solution, including a custom sign-on and registration module, the existing Siebel ERP, and their CRM. MedicAlert wanted to drive more online sales to vastly improve their bottom line. Rebuilding the digital experience required addressing all the facets of the project from business analysis and brand evolution to user experience design and technical execution. As a full-service agency, we were able to do that. We created a successful, business-driven site that reaches members and potential members at every stage in the sales cycle, delivering a tenfold increase in online sales.